1- Shows all videos uploaded on the platform. 2- Shows all articles uploaded on the platform. 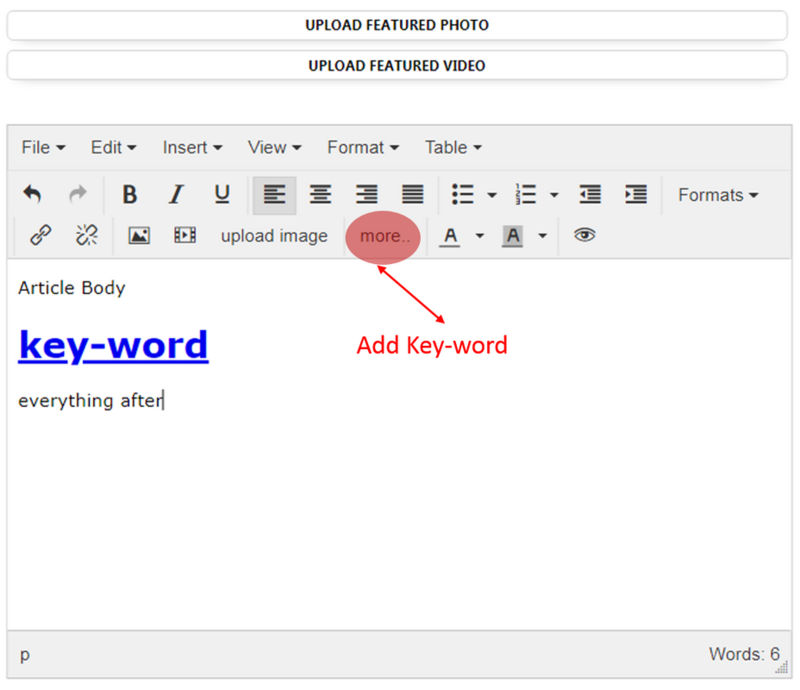 6- Content's Featured photo where you can click on it to upload a custom photo. 7- Content's Title where you can click on it to change the title. 8- Content's number of views. 10- The Date and time when the content was added. - Red: Means that the content is ineligible for Facebook's instant articles. - Yellow: Means that the content is being reviewed by our support team. - Green: Means that the content is eligible for Facebook's instant articles. a- The link to use when content in ineligible for instant articles. b- The link to use when content in eligible for instant articles. 12- Show or Hide the content from the website. 13- Put or Remove The content from the website's main slide. 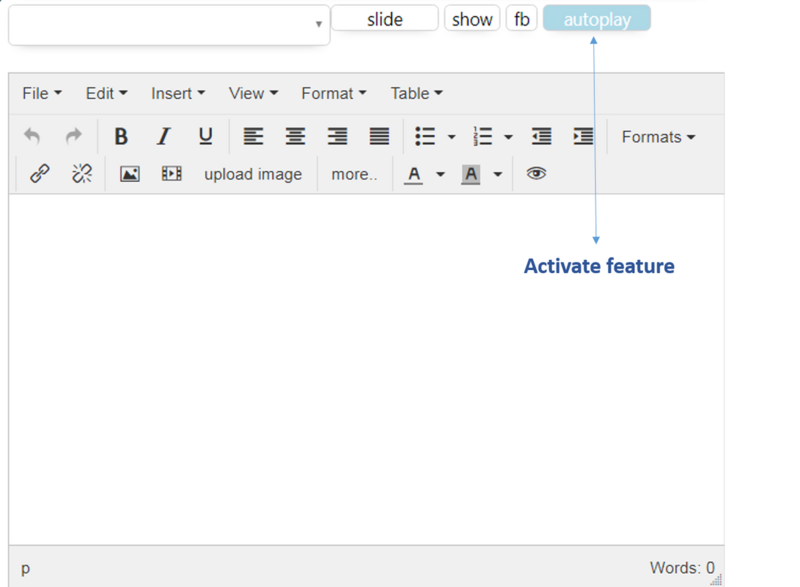 16- To add a new content whereas when hovering over it 3 more options will show up (17, 18 and 19). 2- Show title when posting as instant article on Facebook. 4- Show description when posting as instant article on Facebook. 6- Show content in main slide. 7- Show or hide content from the website. 8- Enable or disable instant article. 9- Show or hide featured photo when posting on Facebook. 10- Upload a featured photo. 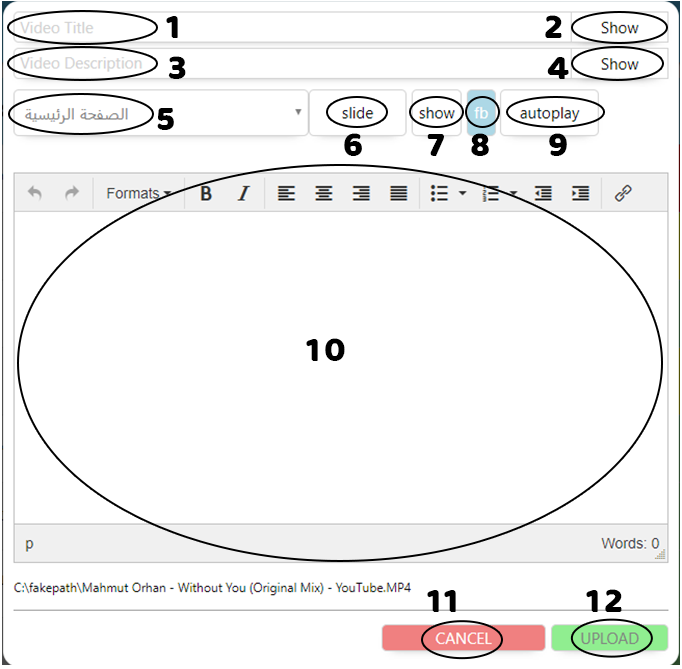 11- Upload a featured video. 12- Text editor to add the article no less than 20 words. 9- Enable or disable Auto Play when posting as instant articles. 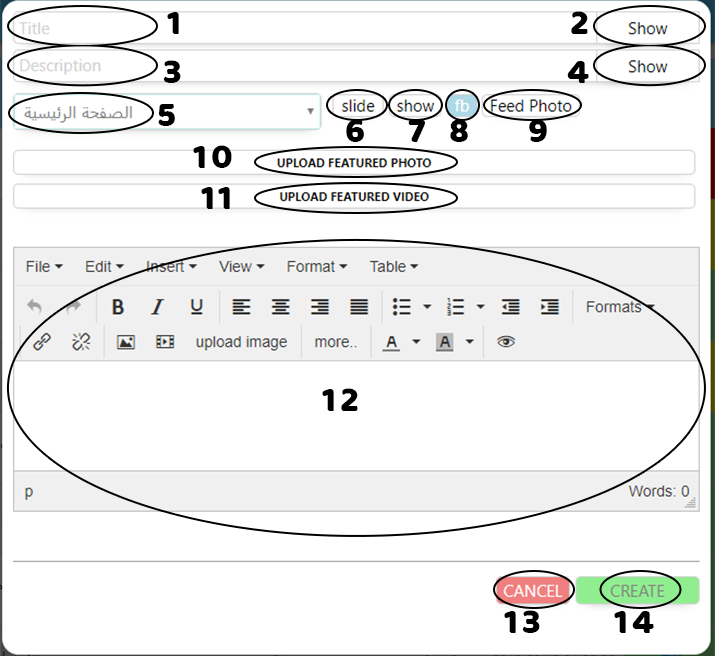 10- Text editor to add more description into the video no less than 20 words. NOTE: After clicking create the video will start uploading to our CDN servers. When the upload is finished the page will refresh automatically. 4- Show content in main slide. 5- Show or hide content from the website. 6- Enable or disable instant article. 7- Show or hide featured photo when posting on Facebook. 8- Upload a featured photo for the quiz. After finishing basic info about the quiz we must add the questions and answers. That is achieved through editing the quiz. First, we must go to the quizzes page from the options bar. Then click edit button beside the quiz. 3- Weight of the answer. 5- Weight of the answer. Note: You can add up to 5 answers. 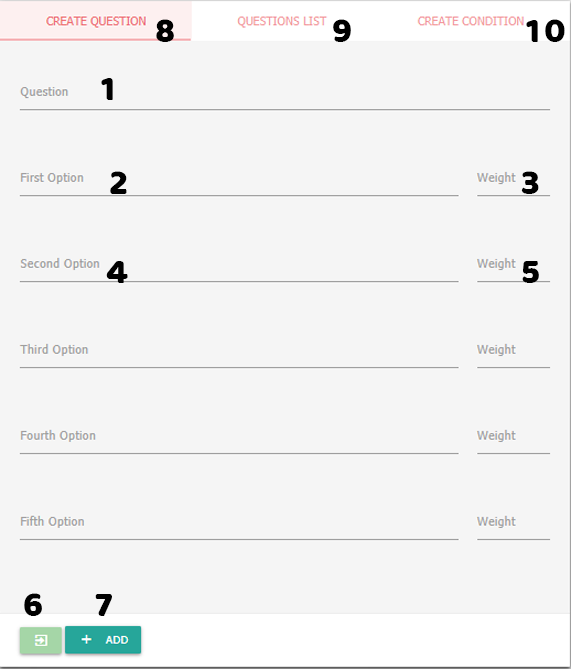 7- Add question (you can add multiple questions in each quiz. 9- A list of the created questions for the quiz. 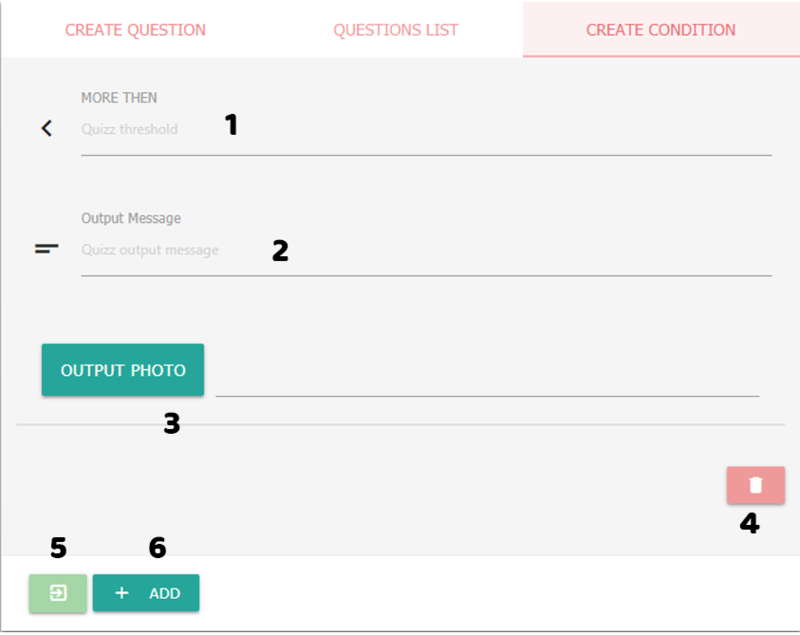 Note: After adding the questions we must add the passing conditions. 1- Pass value where it is a number value bigger or equal to the sum of the questions weight. 3- Upload condition featured photo. 6- Left to right alignment. 8- Right to left alignment. 14- Format (heading - border etc...). 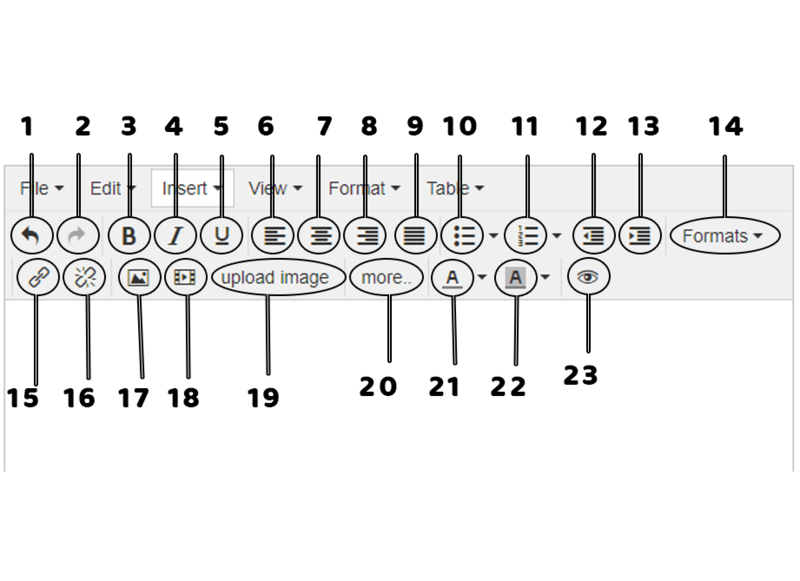 17- Insert/edit image from source. 18- Insert/edit video from source. 19- Upload image from computer or mobile. 20- Use the More feature. 1- Website Address (unchangeable by you). 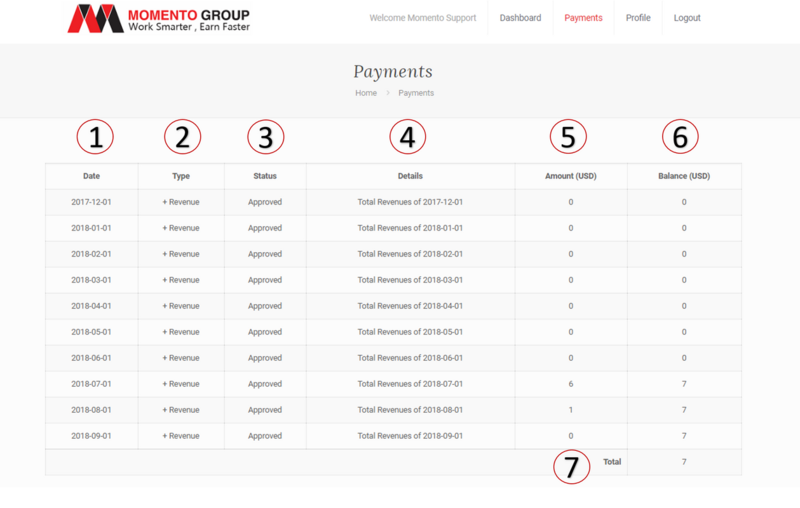 2- Website Creation Date (unchangeable). 7- Website Logo (appears on top of categories bar) and website icon (appears beside of website title). 8- Content of About us page. 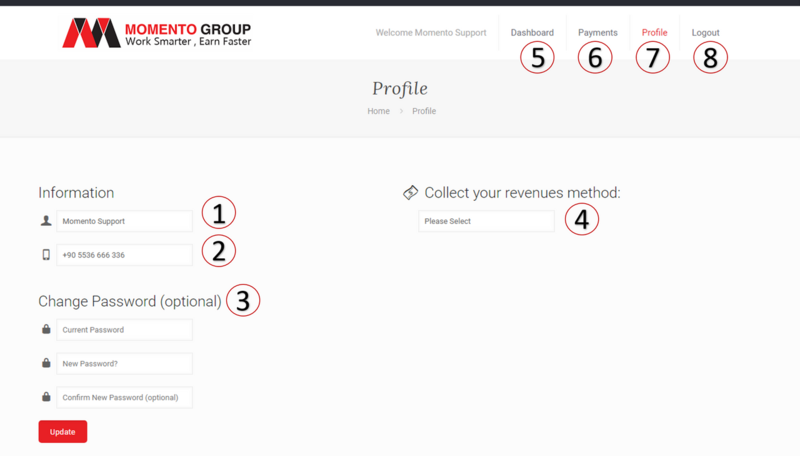 More is an exclusive feature by Momento Group which allow users to make a Key-Word and hide everything after it in the Instant Articles so Key-Word redirect the audience to your domain Which will increase the AdS and therefore increase your revenues. 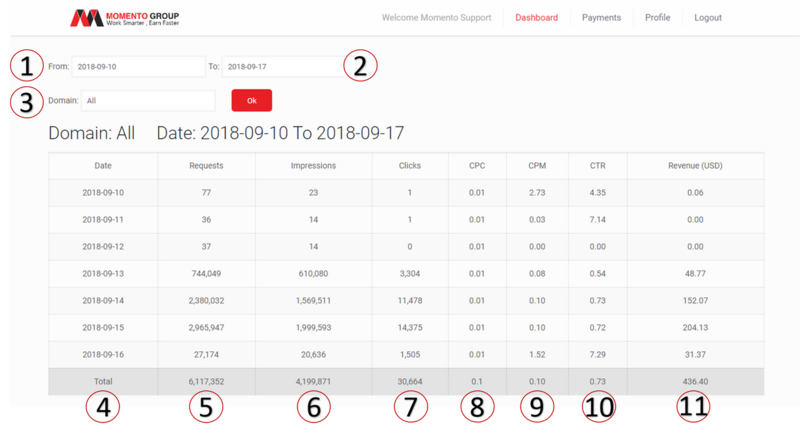 Autoplay is a unique feature by Momento Group which makes the video that you upload plays automatically in instant articles which increase the reach therefore increase the revenues.